GkGrips is actively working for all students who are preparing governments exams. GkGrips have a best study material and mock test for study and practice, and these are totally free to all students. Let’s we discus about Materials and Free mock test. Free Materials : Gkgrips have an all free material which is totally free to all students, and these material covers all syllabus like Current affairs, Rojgar samachar, Model paper, Old papers, Gujarati sahity, Gujarati grammar, English grammar, Mathematics, Gujarat geography, Bandharan, Reasoning, CRPC and IPC these all materials most probably useful in each and every exams. 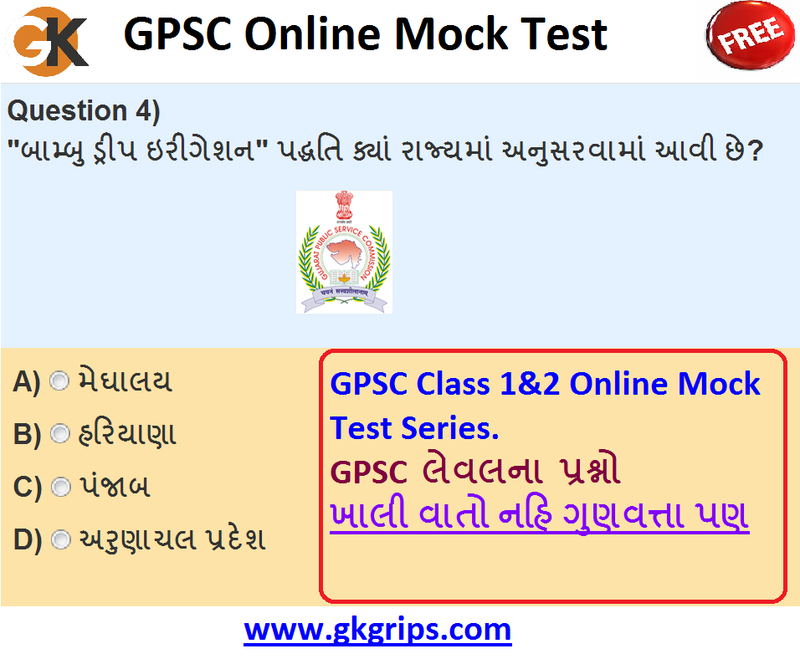 Free mock test : GkGrips provides free mock test for each students which is most widely useful for practice of exams and make them confidence level high and they 100% able to crack exams by these way. Free mock test is fully followed examination system that’s why students also known about rules of exams and so on. These test are available in wise so all students are faced exam to different exams. Free mock test is weekly available so all students can face as per them comfortable time and improve them knowledge. So all student make contact with us and continue increase your preparation and improve your level as well as knowledge.